The first major issue with modern gutter systems is one that has plagued structures for centuries: the fact that a large drain runs into a smaller drain. That’s all gutters really are: drains that are mounted to your house. Consider this: a 30-foot section of standard five-inch gutter can hold up to about 36 gallons of water at one time. All of that water is flowing toward one (or sometimes two) two-by-three inch downspout openings, then down past one or two downspout elbows before exiting the gutter system. Even in a moderate rainstorm, the large quantity of flowing water is likely to back up to some degree, which allows time for solid debris to be deposited along gutters or in downspouts. Then we have the issue of slope. Depending on who you talk to, gutters are generally hung with a slope of anywhere between one-quarter and one-half inch per 10 linear feet. This allows runoff water to flow “downhill” to the downspout openings. But here’s the problem: the ideal slope should be a quarter-inch for every single foot of guttering. 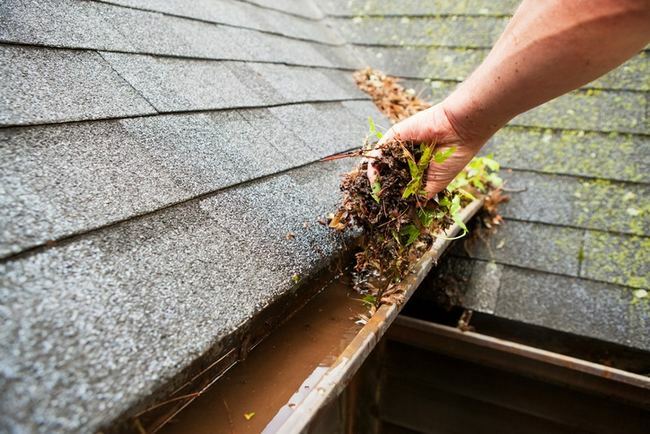 Since gutters cannot realistically be set this steeply, the flow of water isn’t swift enough to transport all leaves, twigs, pine needles and other debris with it down and out of the downspouts. Therefore, some of the debris remains behind, where it gets trapped in the gutters and downspouts, forming clogs. Is There a Perfect Gutter? This begs the question: is it possible to construct a gutter system that eliminates these flaws? The answer: while it might be possible, it isn’t exactly practical. To begin with, the gutters would likely have to be quite wide – perhaps seven, eight or even twelve inches across the troughs. This means they would stick out farther from the roofline, necessitating stronger support hangers to keep them level and prevent water spillover. Also, the gutters’ incline would be much more drastic. That 30-foot section of gutter would have one end positioned a full 7½ inches below the other. Finally, there would probably have to be multiple downspouts positioned in such a way as to divert rainwater more quickly and prevent clogs from forming. While the result of these modifications might be more functional, it would also be unsightly, cumbersome and possibly even non-compliant with local building codes. The bottom line is that homeowners will probably just have to accept that even the best rain gutter system has inherent flaws that may necessitate cleaning out gutters one or more times per year (or hiring someone else to do it) in order to prevent clogging and the myriad of problems that can result from improperly deposited water. 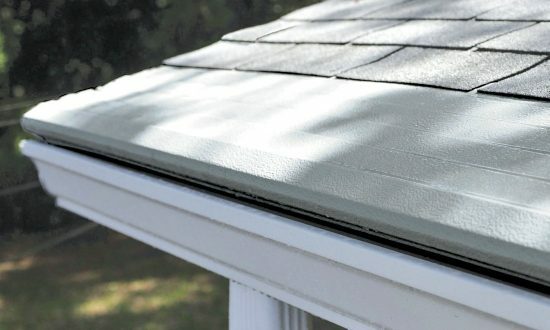 Of course, investing in a gutter protection system like Gutter Helmet® to keep solid debris out of the gutters in the first place is a smart way to protect your home while saving yourself the nuisance of gutter cleaning and maintenance. All it takes is reading a few gutter guard reviews to see that Gutter Helmet is the best system of its kind! To find out more and get a free consultation and estimate, give us a call at (800) 824-3772 and we’ll connect you with a local Gutter Helmet installer near you.